In September 2013, Indonesia officially signed a Voluntary Partnership Agreement (VPA) to guarantee the legality of all timber products exported to the EU. 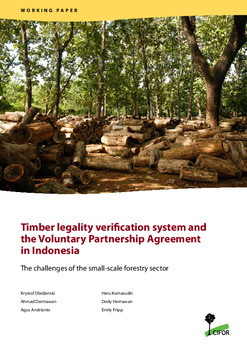 Under the Indonesian VPA, a timber legality assurance system known as SVLK (Sistem Verifikasi Legalitas Kayu) has already been developed and has been in effect since 1 January 2013 for woodworking, wood panels, and pulp and paper. When the VPA is fully implemented, SVLK will become FLEGT legality license and will meet European Union Timber Regulation (EUTR) requirements for legal timber. The objective of this paper is to analyze the challenges of implementing SVLK in the small-scale forestry sector of Indonesia. The paper also assesses whether a mandatory approach to legality verification will be more effective in terms of assuring legality than voluntary approaches, such as certification. 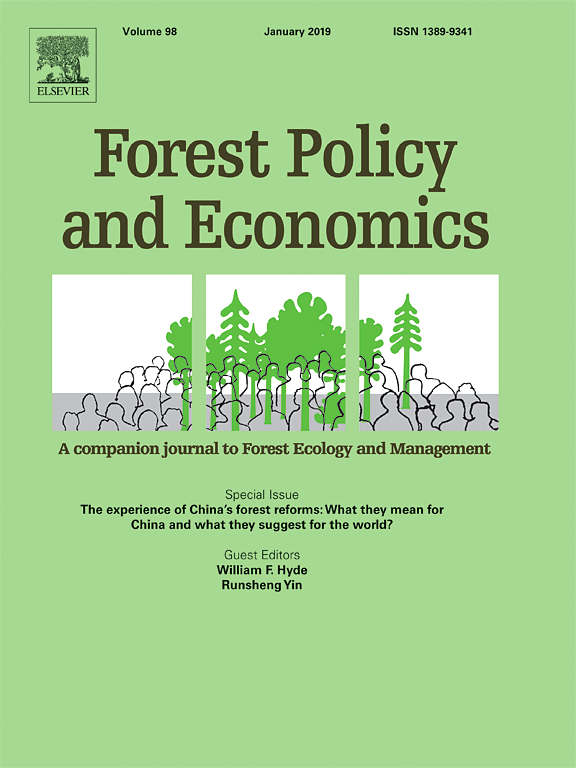 The analysis involved desk-based analysis of government statistics, policy documents, key stakeholder interviews, and field surveys in three major timber-producing provinces of Indonesia  Central Java, East Kalimantan and Papua. The paper discusses a number of challenges facing the implementation of SVLK, among others the cost of timber legality verification, limited societal awareness of SVLK, business legality issues among small-scale enterprises, and high levels of illegality in their timber supply chains. The paper closes by presenting a detailed set of policy options to address the observed challenges.